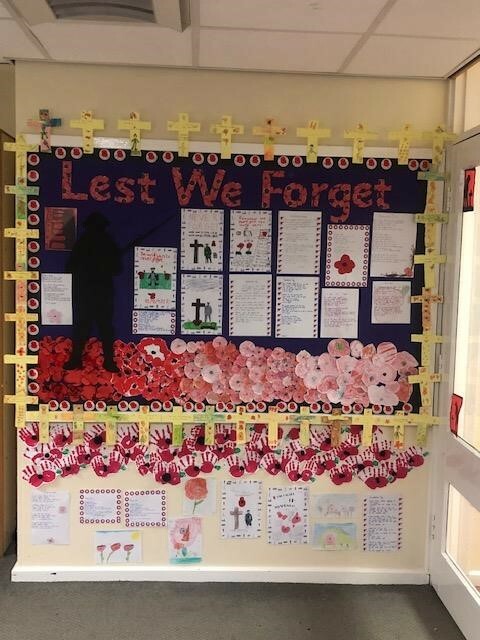 In school we have been taking time to reflect on remembrance. Children in Foundation Stage and KS1 each created a poppy. Children in KS2 wrote poems, drew pictures and created silhouette sun catchers. A two minutes silence was held for children to reflect and think about those who fought and continue to fight in the wars.